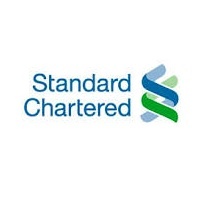 Standard Chartered PLC has a duality of vacancies to fill following the abrupt retirement of Richard Goulding as Chief Risk Officer and Jan Verplancke as Chief Information Officer and Group Head of Technology. The fall months saw a swell of appointments at Standard Chartered, including a pair of heads in Singapore and Hong Kong – since then the group has been relatively mum on any moves, though an announcement earlier today saw the bank cutting 4,000 jobs across its global services. Mr. Goulding will be retiring from his role as Chief Risk Officer at Standard Chartered following an eight year tenure – a successor has yet to be announced, and when selected will be reporting to Peter Sands, Group Chief Executive. Conversely, Mr. Verplancke is also relinquishing his role as the Chief Information Officer and Group Head of Technology after a decade on the job. Based out of Singapore and joining in 2004, Mr. Verplancke will help facilitate a transition for a new candidate, who is slated to be announced shortly.